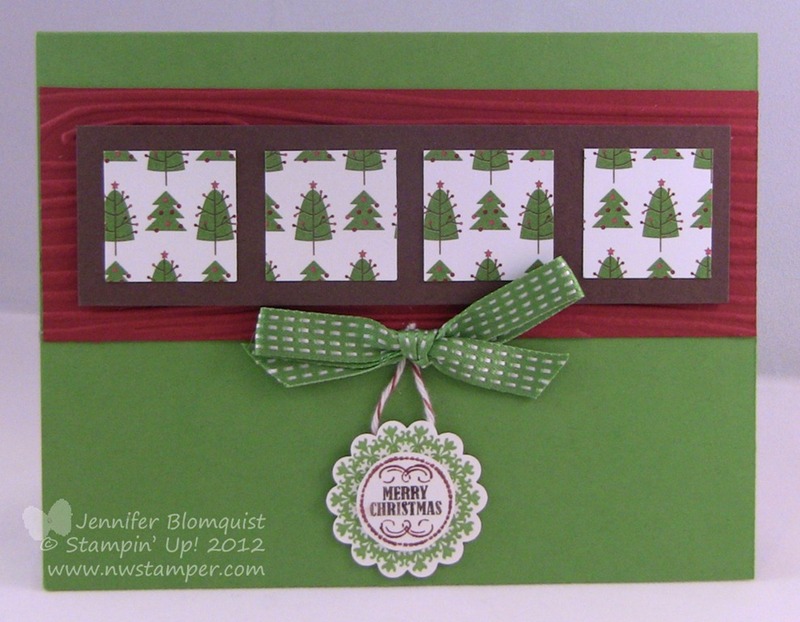 Well, today I thought I’d share a card we made in one of this year’s Christmas stamp-a-stacks. Each month we have been doing a different set of cards and this was one of the first. 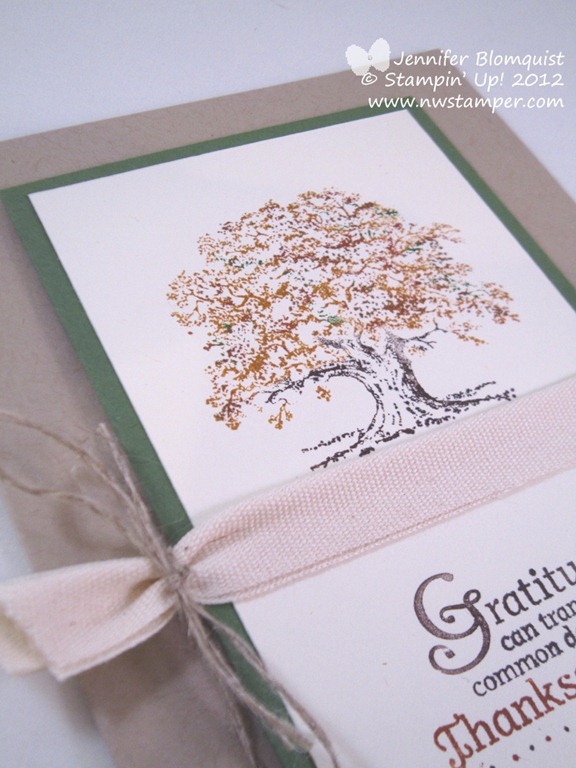 The designer series paper makes it look a little like you are looking out the window to a snowy forest to me, do you see it? Basically make your loop of bakers twine look like a teardrop and stick the dimensional across the fat base of your teardrop to hold it in place. 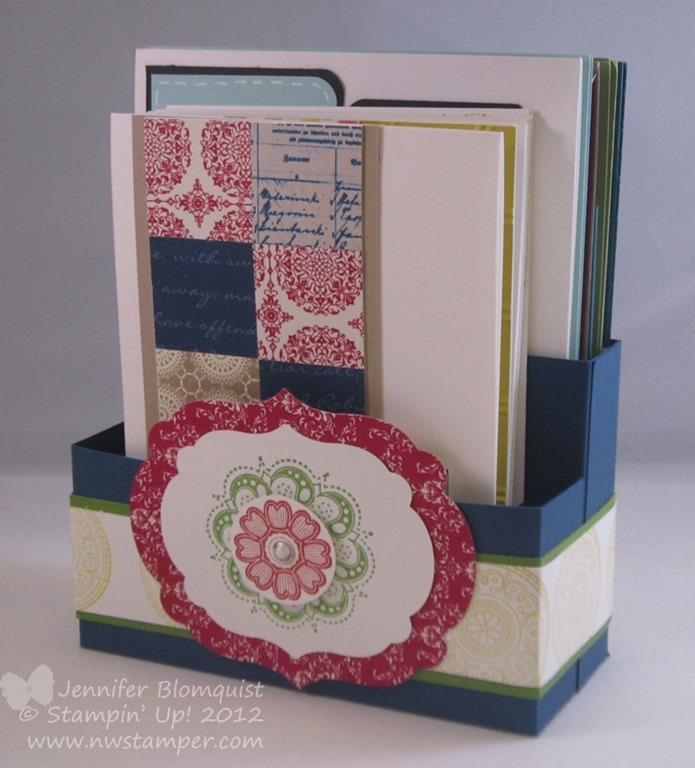 Then cover up your dimensional with your stamped images from the Mixed Medley hostess set. Just a reminder that I have a few classes coming up that I’d love to have you join me for! 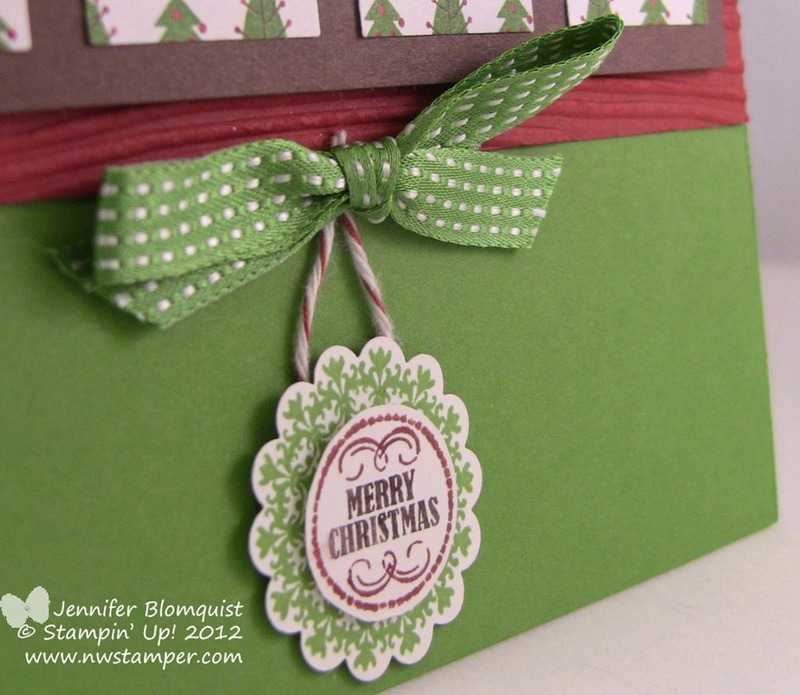 Visit my events calendar or email me at jennifer@nwstamper.com to RSVP and save your spot! 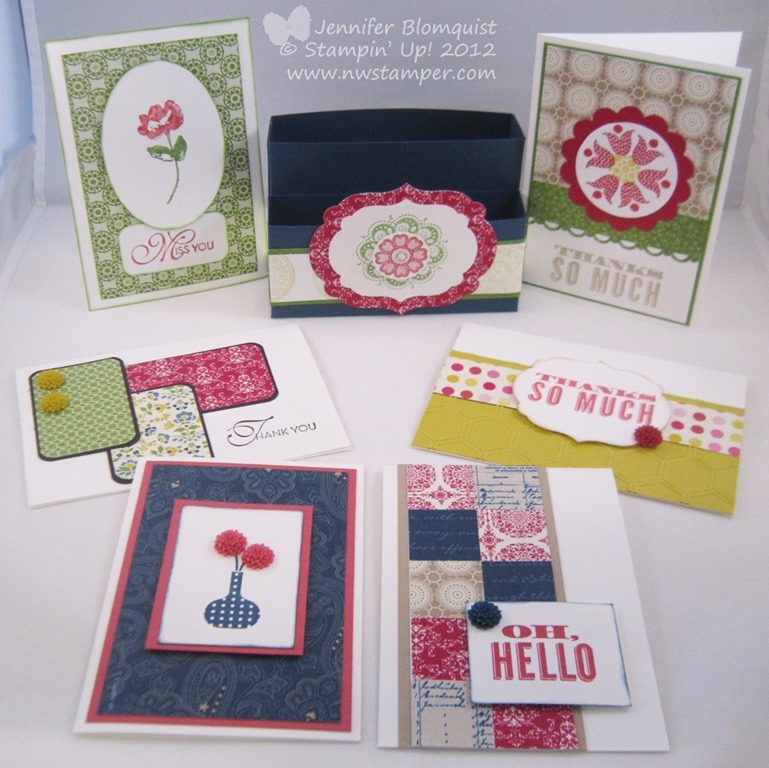 Friday – 11/16 – Build Your Stash Card Class! Same class as the friday card class only in a convenient afternoon timeframe. Hosted at my house in Bellevue, WA. 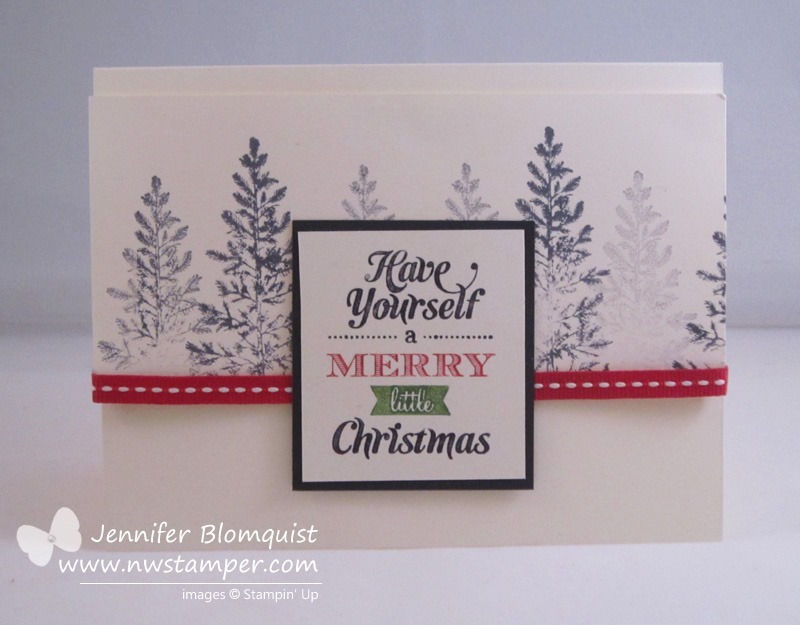 Sunday – 11/25 – Christmas Card Stamp-a-Stack LAST ONE!!! 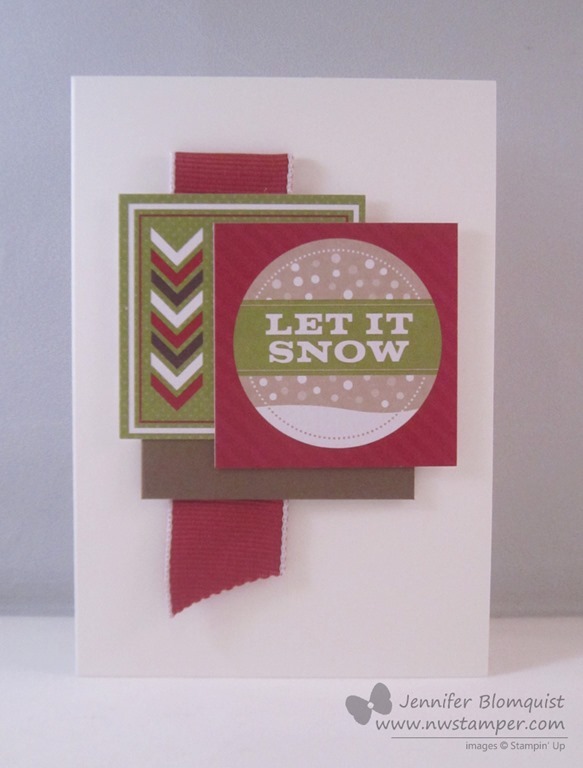 It’s the last Christmas Card class of the season and we’ll be finishing up our holiday cards! 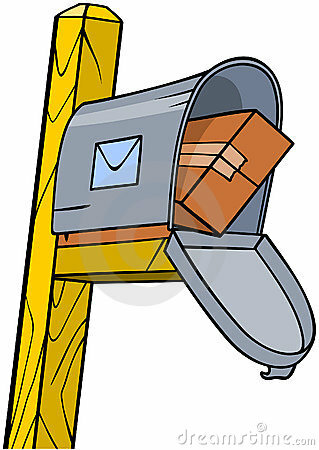 We’ll be making 3 each of 4 great designs, plus you’ll be going home with your envelopes so you are ready to sign and mail before the holiday rush! $25 early bird price when prepaid by 11/17, $30 afterwards.